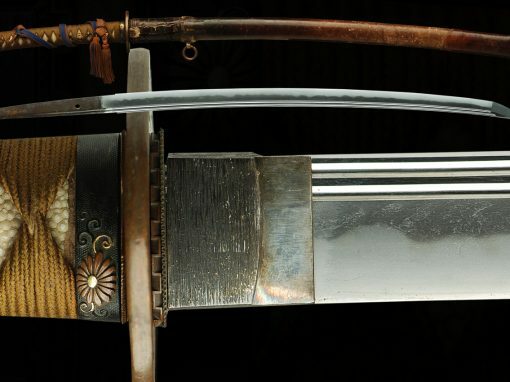 This sword is very important and extremely desirable. 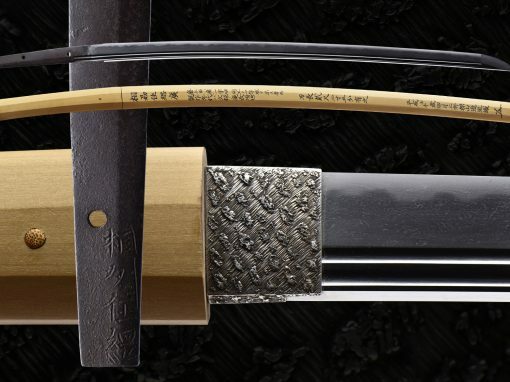 The sword has a fine sayagaki by Kunzan that was done back in 1979. 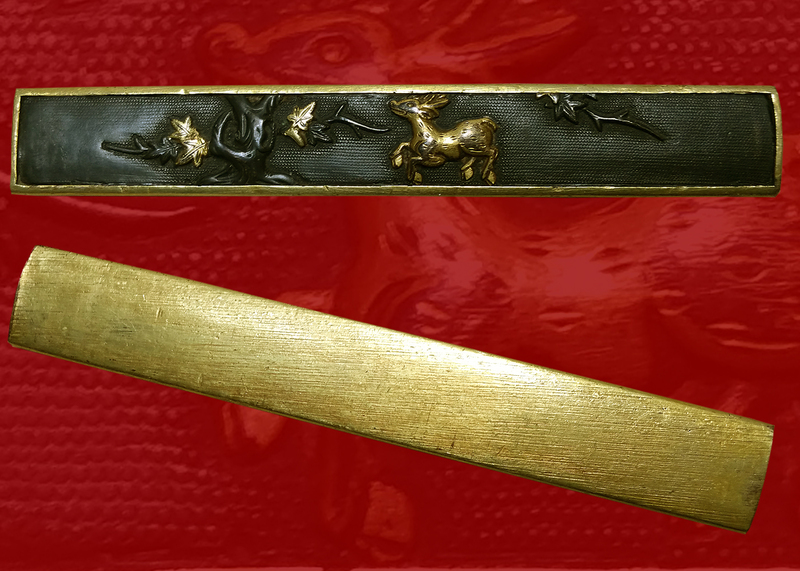 Kunzan attributed this sword to Kanenaga the founder of the tegai school and dated the blade to the 1200’s. 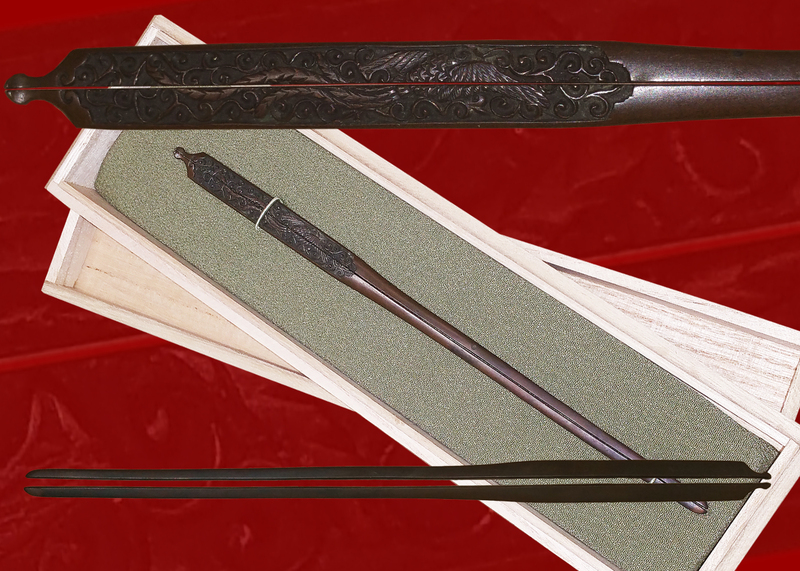 Since then the sword also received a tokubetsu paper attributing it to the tegai school also. 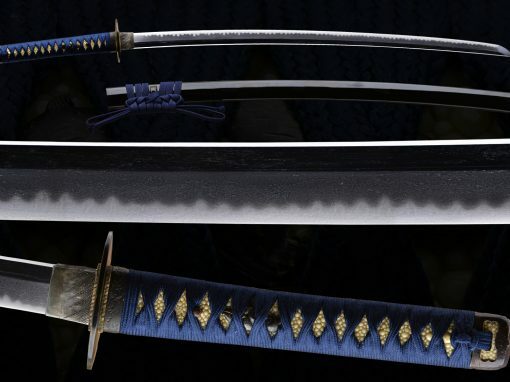 The quality of this sword is oviously high and the ha has many hataraki like, uchinoke,sunagashi and many ashi. 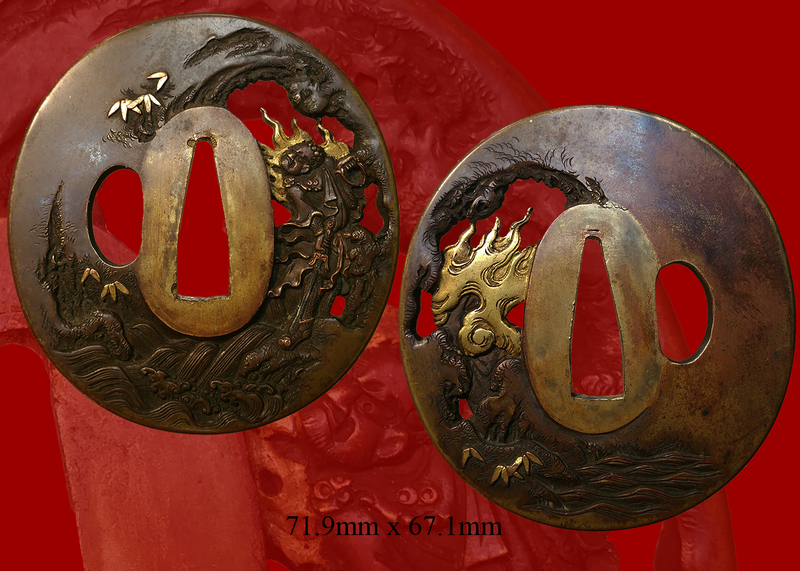 The boshi is double ha and hataraki style. 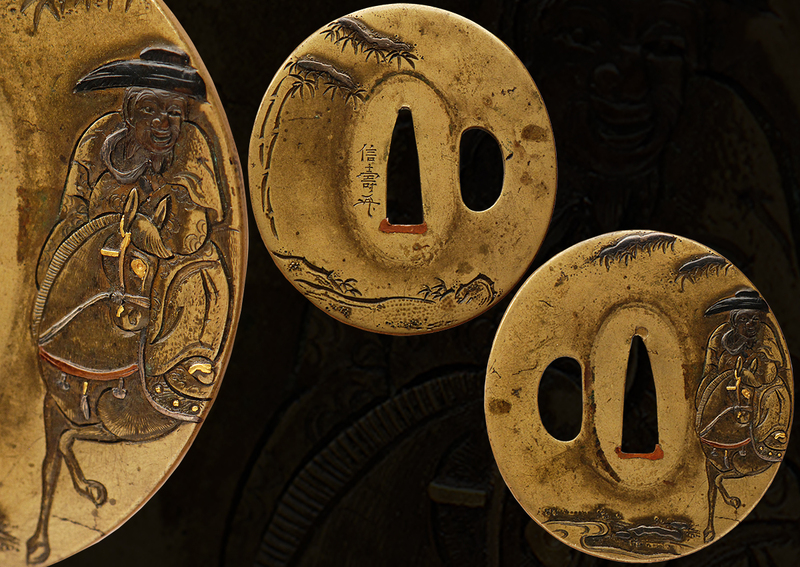 The gi has very well grained jinie and is brilliant. 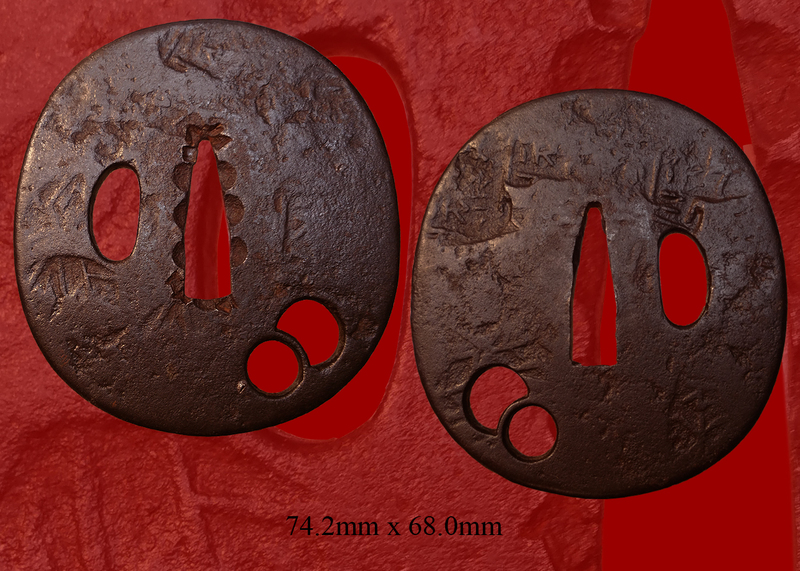 Showa Hinoto-Mi doshi, Fuzuki, kugayamabo ni oite Kunzan Shirusu. 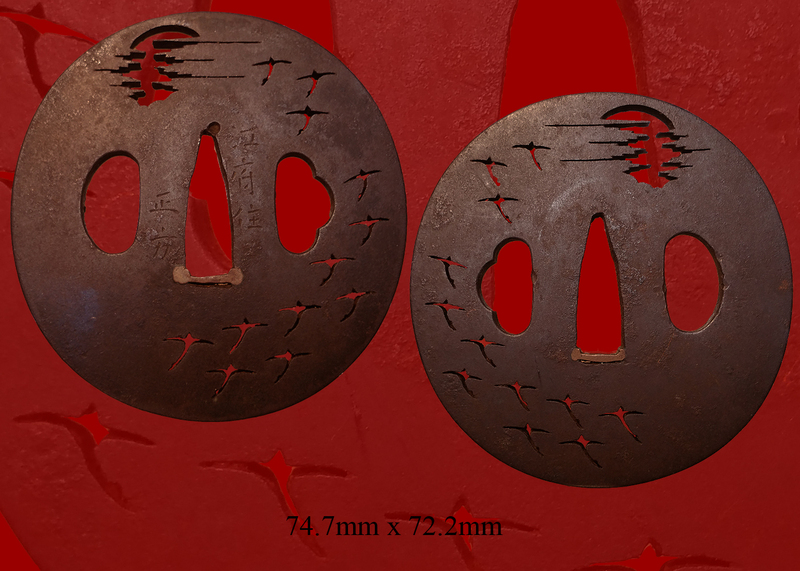 Kao. 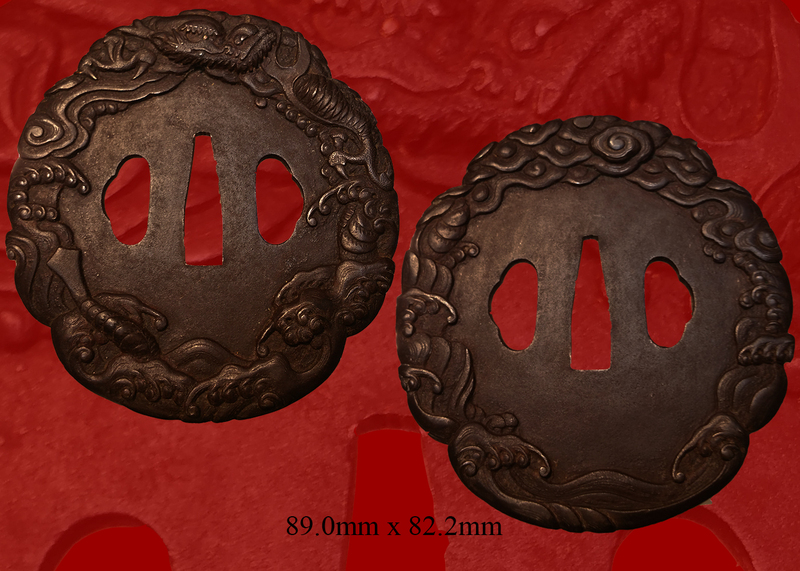 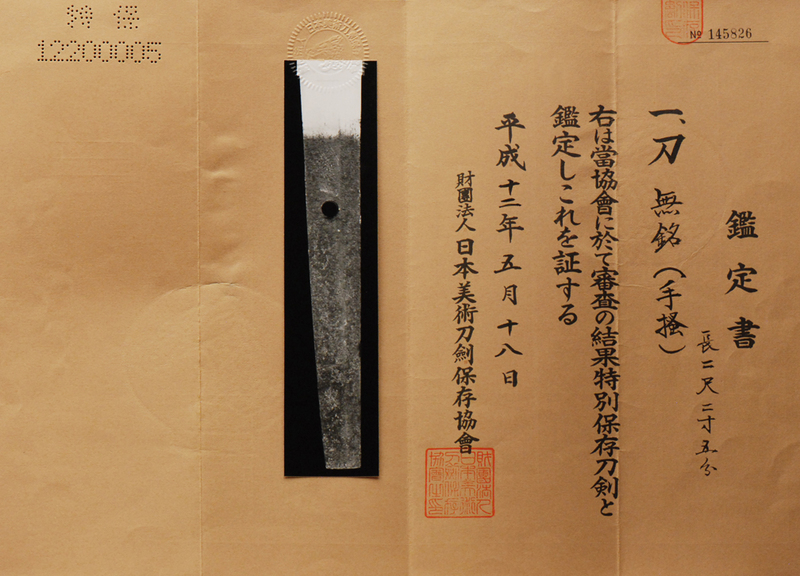 The workmanship of the swords conserved in the Shoso-in Depository was mentioned as above. 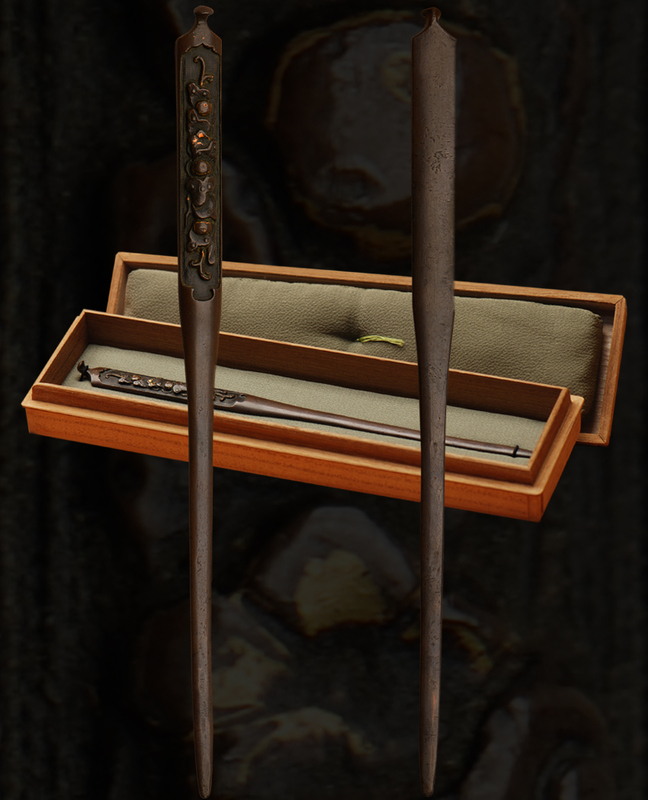 Let me repeat the main points. 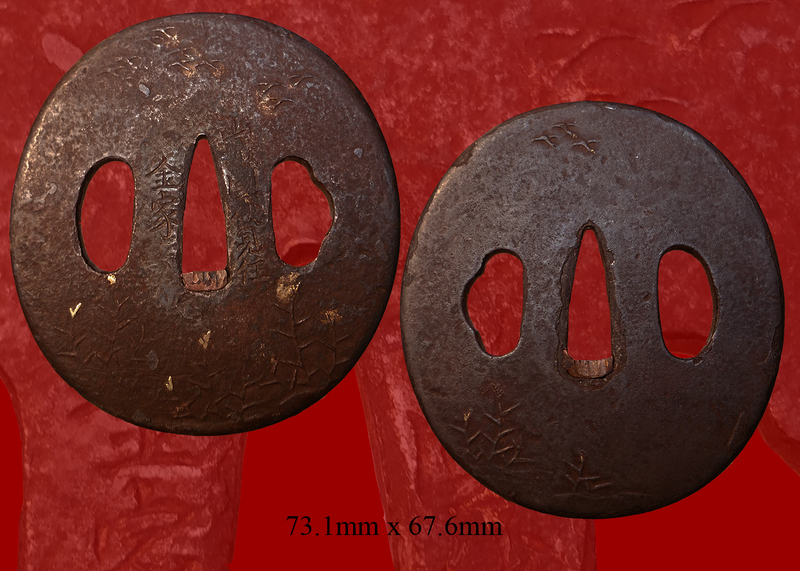 Kiri-ha-zukuri are the most popular type and there are swords in shinogi-zukuri that look like kiri-ha-zukuri at a glance, also many kissaki-moro-ha-zukuri (mostly kiri-ha-zukuri) are seen amongst them. 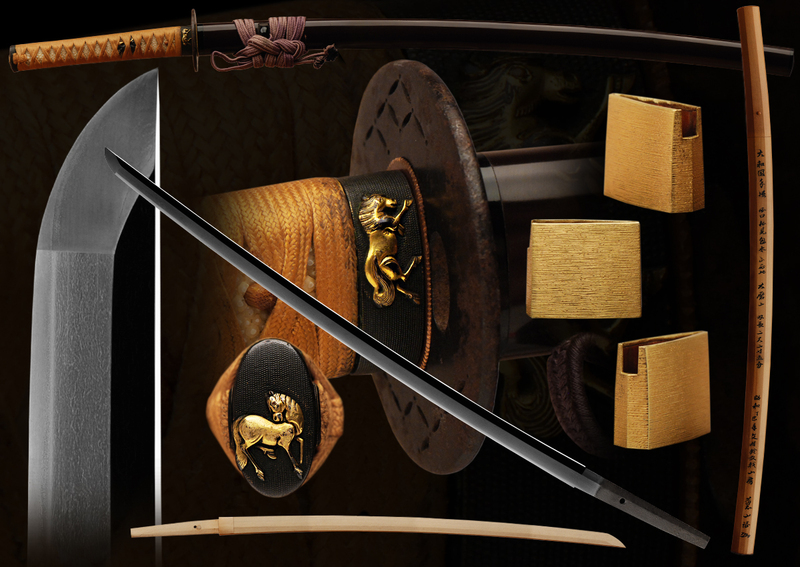 There are also some swords in Kogarasu-zukuri. 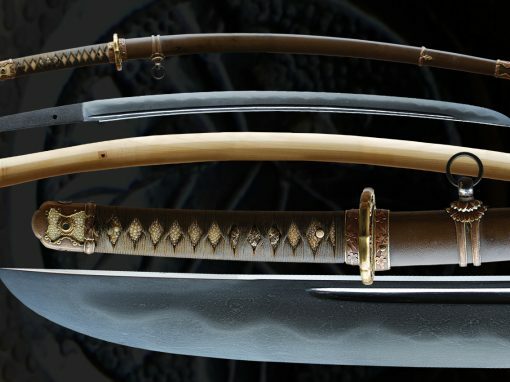 Shallow sori is recognised in them, their mi-haba is wider than that of the Japanese sword in general, most swords have maru-mune, jigane looks soft, nagare-hada is common and masame-hada is also seen, and hoso-sugu-ha is popular and skilfully tempered. 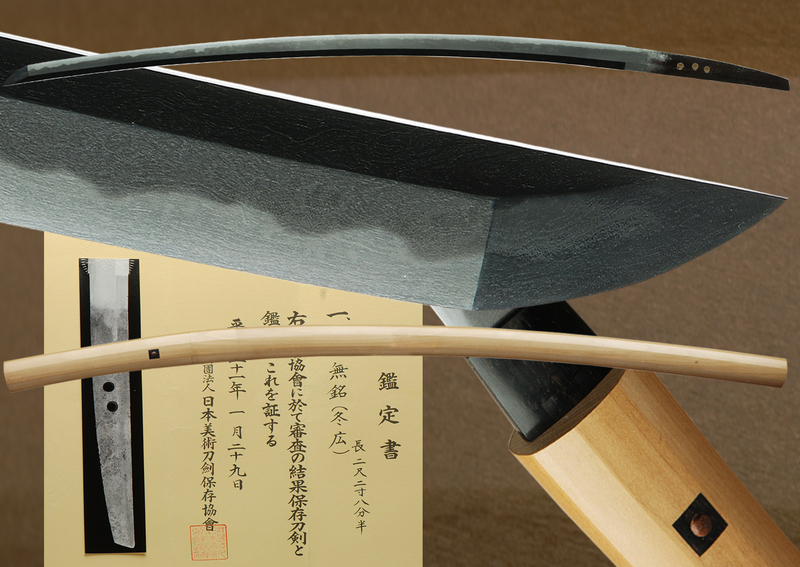 Boshi is sugu or gentle then turns back in ko-maru with short kaeri and is elegantly tempered with tight a nioi-guchi. 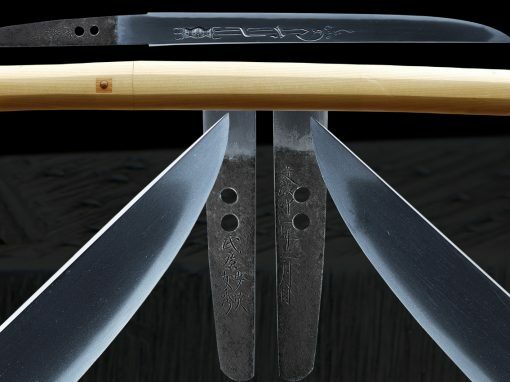 The jigane is covered with thick ji-nie, sunagashi and hakikake are seen, and the hamon starts with yaki-otoshi. 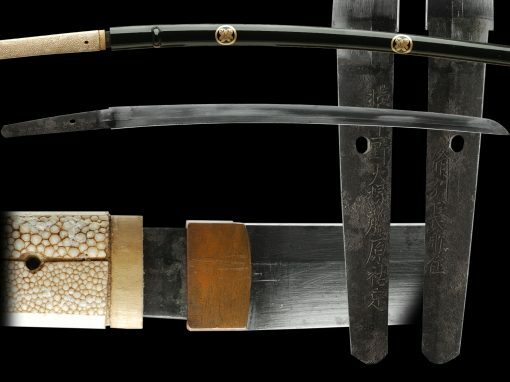 Japanese sword researchers have agreed on a theory that there is a connection between the workmanship of the sword collection of the Shoso-in Depository and the Japanese sword that was developed in the Heian Period and reached the peak of sword forging skill. 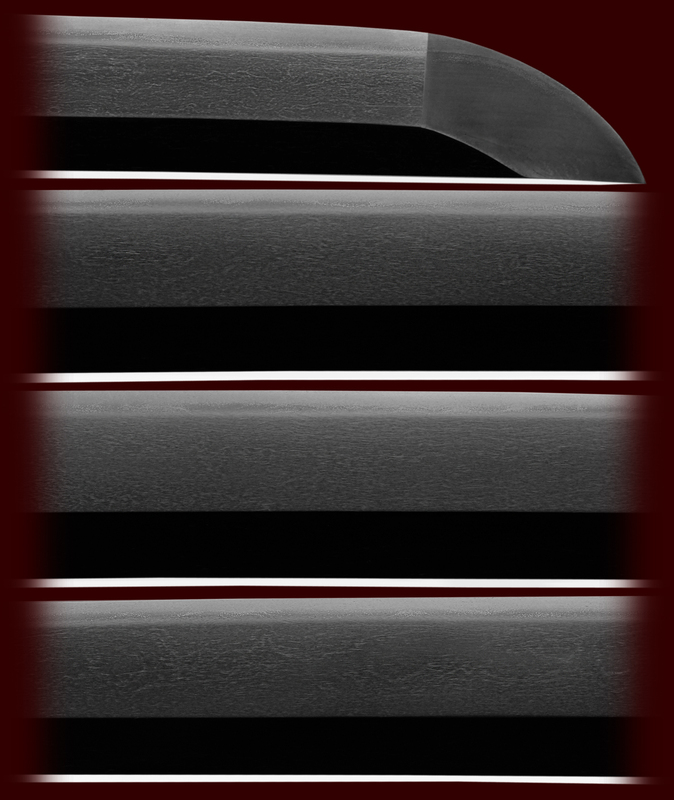 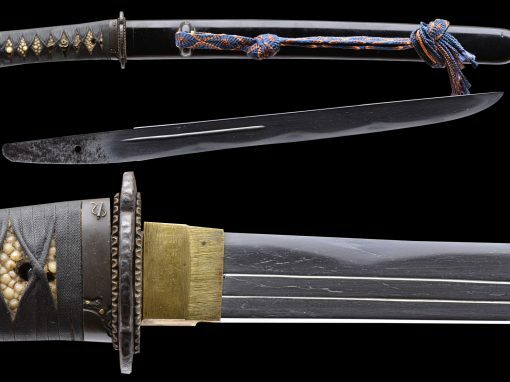 That is to say, old Yamato swords are rightly descended from the swords of the Shoso-in Depository. 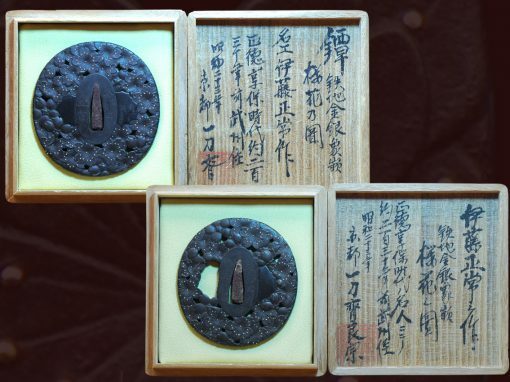 There are the Senjuin, Tegai, Taima, Hosho and Shikkake schools in Yamato Province, but we have confirmed no extant work with a signature made before the middle of the Kamakura Period. 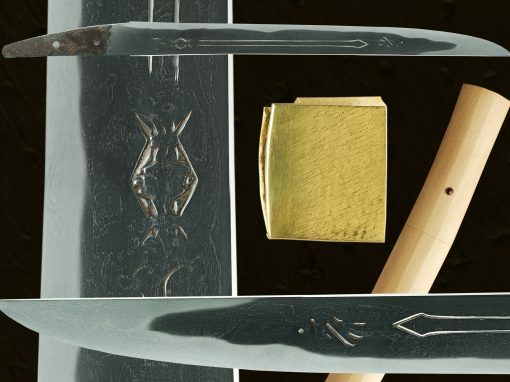 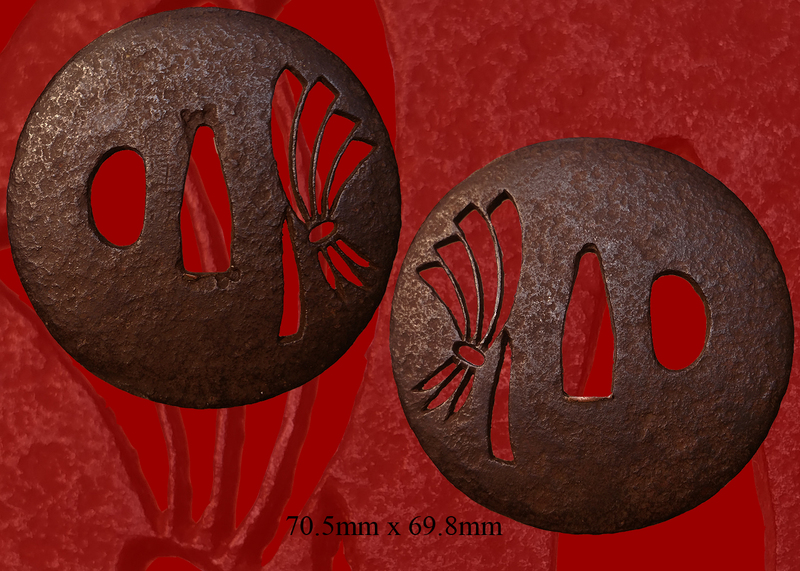 We can recognise common features in their workmanship, which are related to the ji and ha of the swords of the Shoso-in Depository. 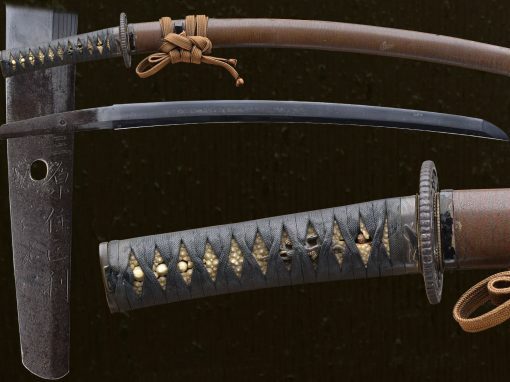 I would like to point out differences of the workmanship between old Yamato swords and the swords of the Shoso-in Depository. 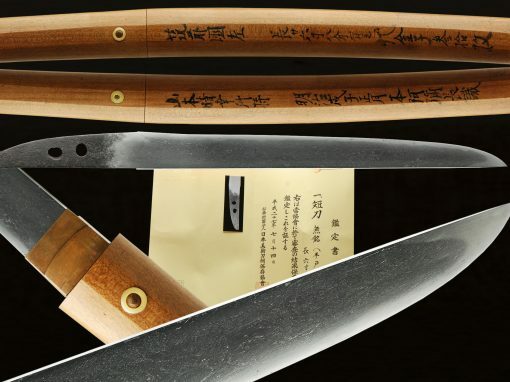 (1) Tachi by Yamato smiths are in shinogi-zukuri and have sori. 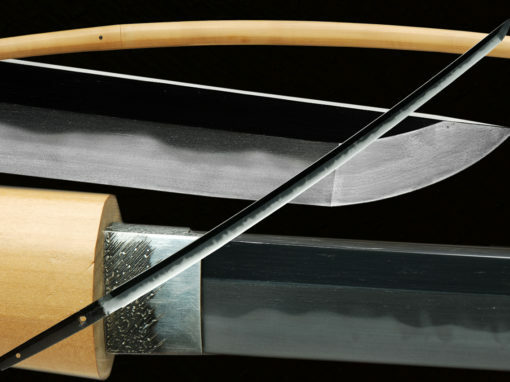 (2) Their jigane look powerful and nie is more emphasised in the ji and ha, sunagashi and hakikake are more conspicuous. 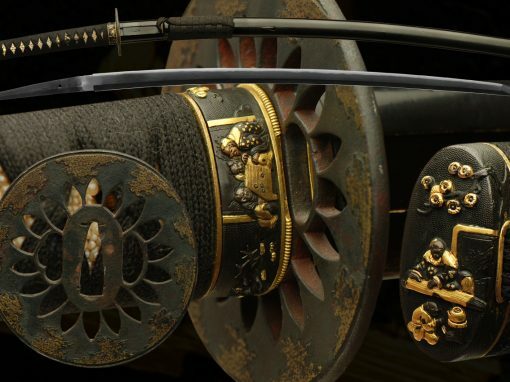 (3) There is no tsuchi-me and sen-suki finishes on their nakago but taka-no-ha, higaki, kiri-yasuri. 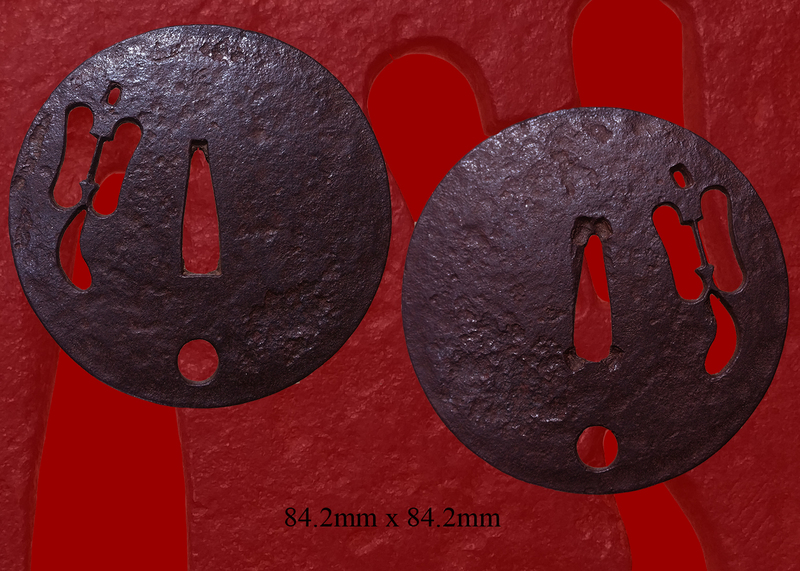 It must be noticed that the width of their shinogi-ji is wider than that of smiths who lived in other provinces and were active in the same period. 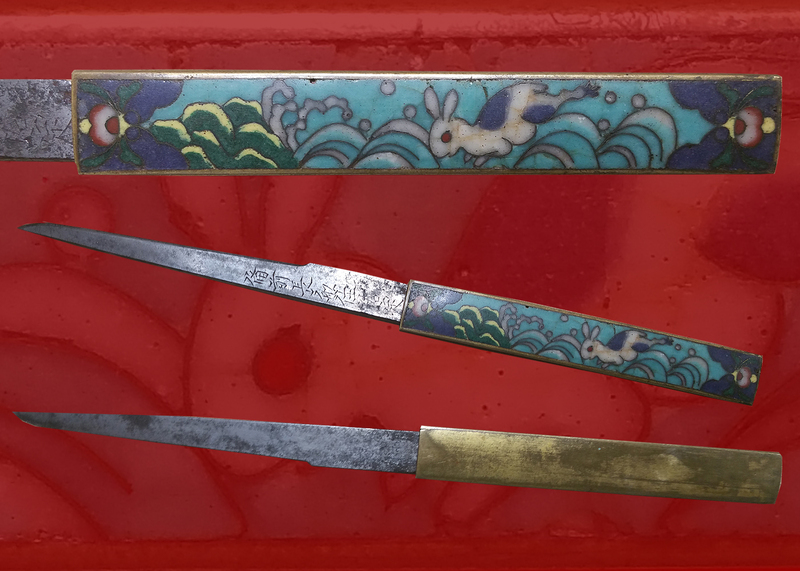 They also made many tanto in kanmuri-otoshi-zukuri. 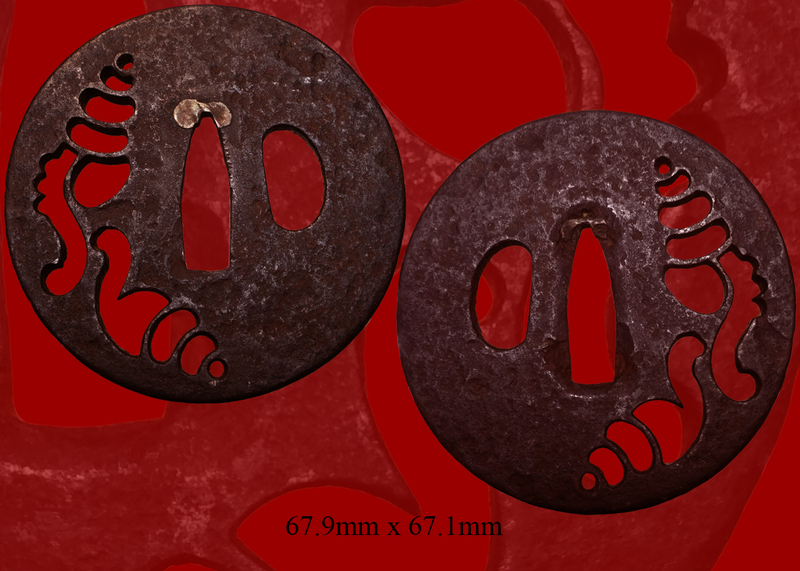 It seems to me that this fact suggests how kiri-ha-zukuri had been developed to shinogi-zukuri and kissaki-moro-ha-zukuri. 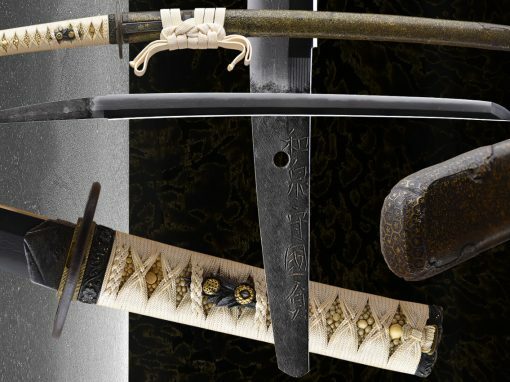 It is very difficult to ascertain if the swords of the Shoso-in Depository were made by Japanese or Chinese and Korean smiths, and it is almost impossible to prove that Yamato smiths of that period made them and that Tegai smiths are their descendants. 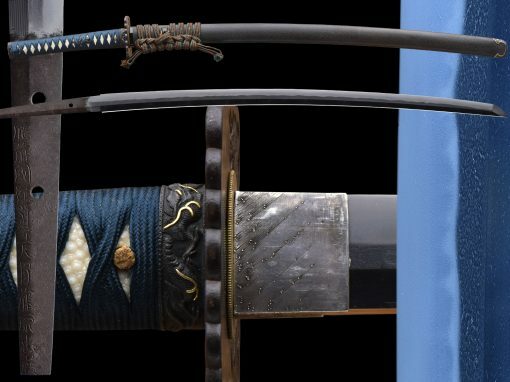 However, after researching the swords of the Shoso-in Depository, it becomes clear that the workmanship of the swords in the Shoso-in Depository had an influence on the sword forging of Yamato smiths.. 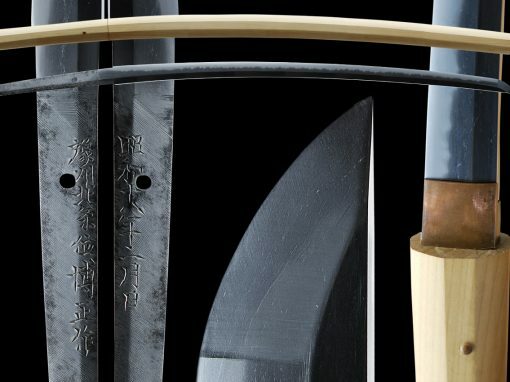 If his theory is correct, it would make the Tegai school the longest lasting sword school, and earliest school and tradition in Japanese sword manufacture. 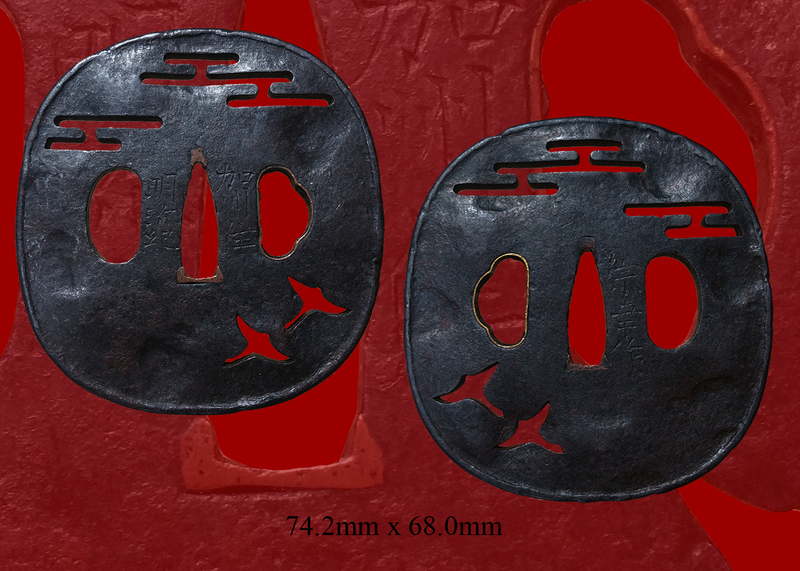 Kanenaga taught many students who inherited the square Kane (包) character from him, smiths like Kanetsugu, Kaneyoshi, Kanekiyo, and the second generation Kanenaga. 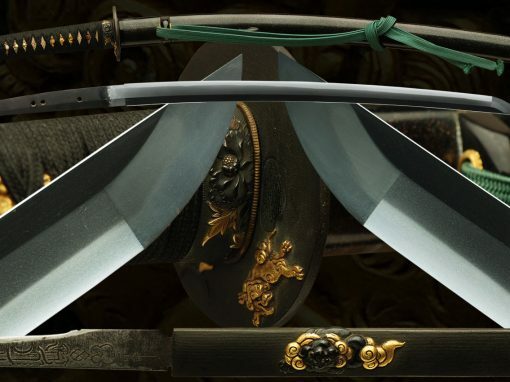 It is not clear where exactly Kaneuji falls into the school, but he initially used the square Kane before learning under Masamune, and on his arrival to Mino changed his Kane character to 兼 but kept his name otherwise the same. 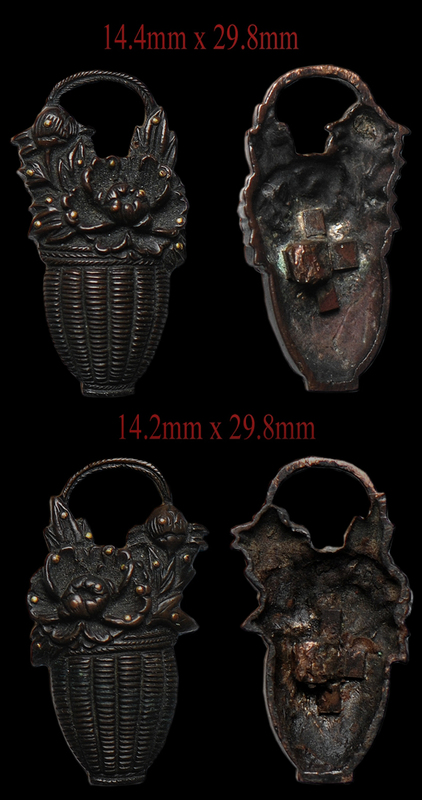 As a side note, the square Kane character means to package, or embrace, and the character is based on the figure of a pregnant woman, and implies care for the item so embraced or packaged. 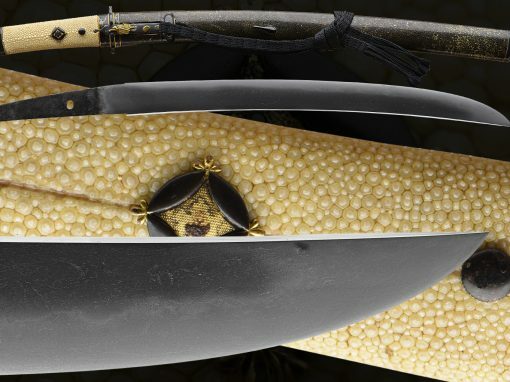 The second character naga in his name means eternity, so possibly the implication is that the Kanenaga sword was meant to care for the owner forever. 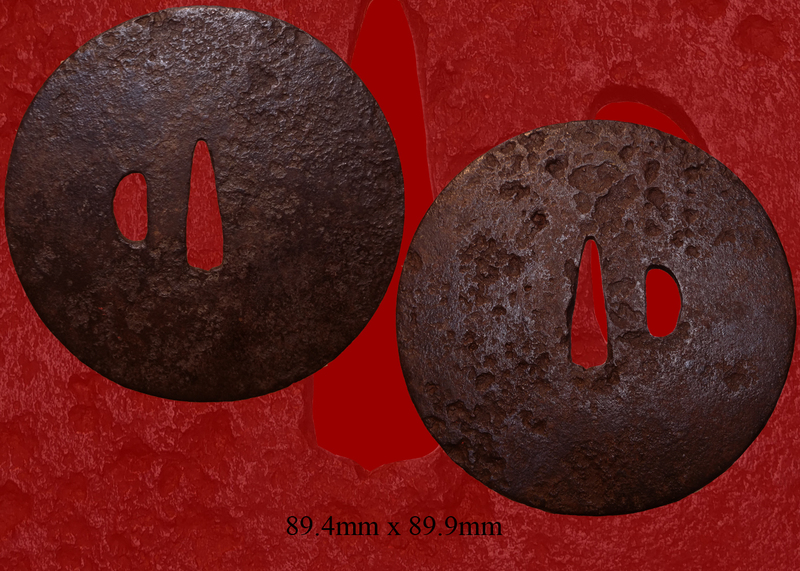 Email us if your interested in this item and remember to include the order number for this item: fss-627.